by Cheryl Benard, et al. Determining how to gain knowledge from, hold, question, influence, and release captured adversaries can be an important component of military strategy and doctrine, both during the conflict and in reconstruction afterward. 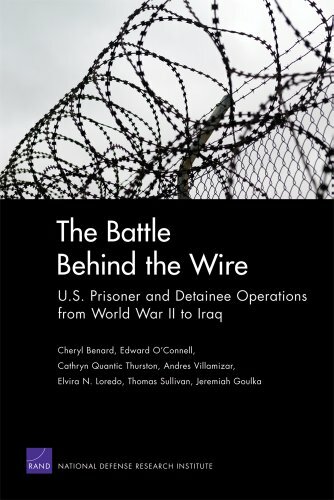 This monograph finds parallels in U.S. prisoner and detainee operations in World War II, Korea, Vietnam, and Iraq: underestimation of the number to be held, hasty scrambling for resources to meet operational needs, and inadequate doctrine and policy.